I had a person ask me on Facebook, “Can I buy a home with $500”? I thought he was joking but no it was a true and an honest question. Some people are meant to have a home and some people are not. If you are contemplating purchasing one, here are 7 reasons why perhaps you shouldn’t buy a home even if you want one. 1. Do you have enough savings? You definitely cannot buy a home with $500, that’s impossible. There are so many different costs associated with the purchase of a home like attorney fees, title charges, inspections, appraisals the list goes on and on. Don’t buy a home if you are on the cusp of living paycheck to paycheck. You really need to save a lot more money for your down payment and especially closing costs. You might think you have saved enough but you might not have a sufficient amount. Always aim to save 5 to 20 percent of the sale price in cash. 2. Are you mentally prepared? Do you have it in your mind to actually buy a home? Your mindset needs to be clear and you need to understand that home buying comes with great responsibility. Be ready to deal with mechanicals breaking down or perhaps having to deal with a crazy neighbor. The last thing you want to deal with is having buyer’s remorse. Remember you just can’t ask for a quick refund. 3. Are you ready to not be mobile? If you are jet-setter or have a career that takes you to many places you might consider not getting a home. The typical homeowner lives their property for 10 years. You simply can’t return a home. If you don’t want to feel like your home is a hotel, then don’t buy one. You also must allow some time for appreciation in order to make a profit – so if you might need to sell it within the first few years, buying a home doesn’t make sense. 4. Is it really an investment for me? The average appreciation on a home is 1-5%, so really pay attention to to see if selling your home will make you a profit. Let’s say for example you buy a home for $500,000 right now. Are you really going to make a profit of $25,000+? Look at the expenses over time, especially if you end up having big ticket items to fix like a roof or your foundation. Those items alone can be thousands of dollars. Remember, you have closing costs and you have to pay down your mortgage payment. Think of the big picture for the long haul. 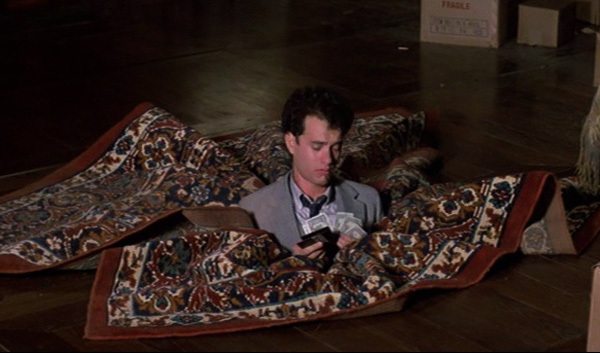 I’m not sure how old you are but do you remember that movie “Money Pit“. It’s an old 1986 movie. This movie really portrays you buying a fixer upper and feeling the stress of fixing a property from head to toe. Where your ceiling is falling apart while you sleep and the plumbing is full of gunk, the electrical system catches fire, the bathtub crashes through the floor, the chimney collapses, and a raccoon is living in the attic. Let’s not forget the remodeling is never ending. Make sure you don’t get a fixer upper that is going to last you forever and a day. Are you ready to live in your home til death? The typical mortgage amount is 30 years. If you are in a situation in life where you are in between jobs or are changing careers, now is not the time to be buying a home. Take a look at your life situation and see if owing a home really meets your needs. You might also be looking to better improve yourself in the near future, so right now you might not be ready to own a home. 7. Are you on point with your significant other? Let’s face it: Your partner might not be ready to deal with owning a home. Make sure you have a deep conversation on owing a home with your significant other. Maybe you think you are ready but he/she is not. Owing a home will also bring maintenance issues so be ready to deal with them with your significant other. An example is buying a new furnace or what would happen if the water heater stops working? Or worst yet what about if your basement flooded what would you do are you ready to deal with the extra costs? 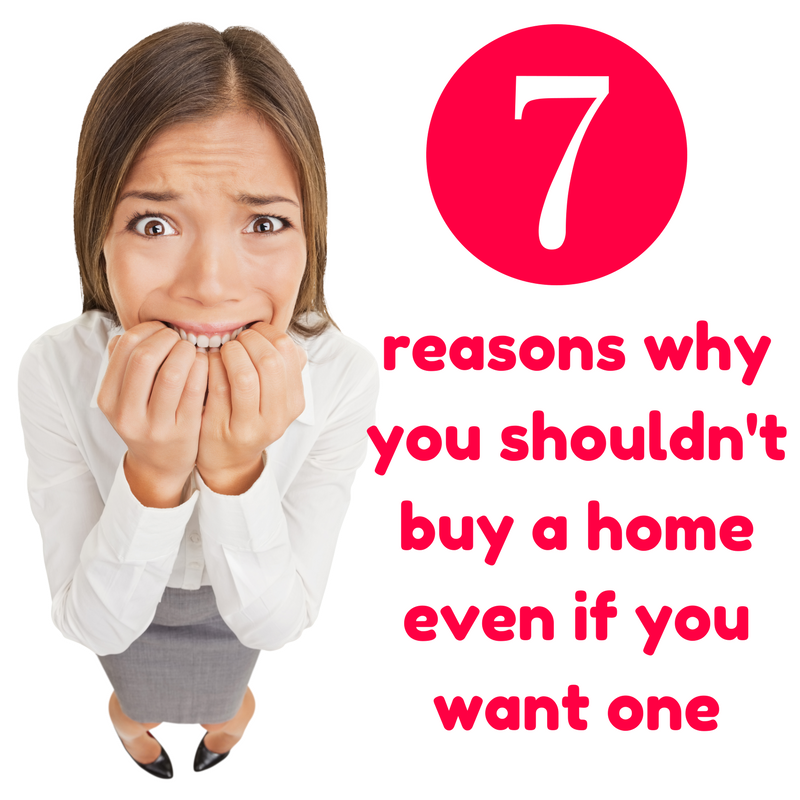 If these 7 reasons above have not scared you off and you feel like you are ready to own a home there are definite benefits to homeownership like taxes breaks, building equity and more. Don’t get discouraged just really be ready to own a home and have your ducks in a row.